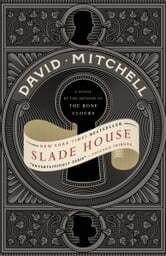 A headlong adrenaline-rush of a new novel from one of our most beloved and original writers: Slade House, which has its origins in Mitchell's famously Twitter-released short story last year, is his most entertaining and accessible novel yet. A cycle of linked ghost stories perfect for any dark and stormy night. An ordinary road in a town like yours: bus routes and red-brick houses. A dank narrow alley, easy to miss, even when you're looking for it. A small black metal door set into the wall: no handle, no keyhole, but at your touch it opens onto a sunlit garden, sloping up to a house that doesn't quite make sense... Go through, and the door closes discreetly behind you. In David Mitchell's exhilarating new novel, five "guests" separated by nine years enter Slade House for a brief visit--only to vanish without trace from the outside world. Who draws them to the heart of Slade House, and why is the house missing from maps? Beginning in 1979 and ending in 2015, these five interlacing narratives will enchant Mitchell's readers, old and new, with a signature blend of mystery, realism and the supernatural. 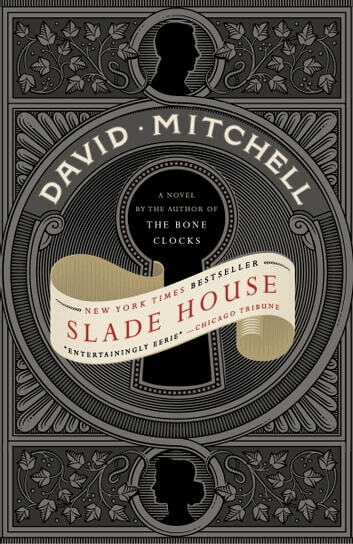 An excellent read if you liked The Bone Clocks. Adult literary horror at its best. A page turner that commands you to think and entertains and takes you on a twilight zone like journey all simultaneously. David Mitchell channels Rod Serling and kicks it up a notch. Couldnt put it down. Really loved this book! Looking forward to reading more from him. Unique and quirky. It took me a couple dozen pages to get into it but once I got into it I was hooked. Intelligent writer with knack for great character buildig. I love books that don't spell it out for you, and this book got that right, up until the end. That said, it's tricky to write a novel with a complex occult basis as this one has, even if it's building on ones that already exist, and it's trickier still when the novel is essentially divided into several short stories and perspectives you only see once before moving on. This was a solid read.